HospitalSoftwareShop offers comprehensive telemedicine, telepathology, teleradiology, teleophthalmology solutions. HSS Telemedicine soutions help in bridging the gap between the specialists located across the globe and patients. 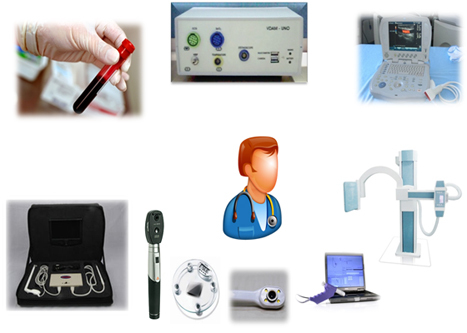 Our telemedicine solutions provide high quality interface of medical devices with telemedicine software. Network (LAN, WAN, VPN, Domain Controlling) implementations. Server hosting with International sharing and dedicated domestic providers. Annual maintenance contracts for enterprise level hardware and equipments. 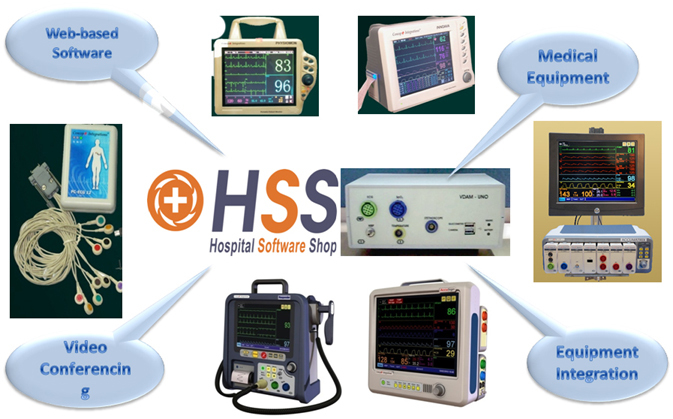 IT product offerings on end-to-end hospital management system, tele-medicine, customer relationship products, ERP products. Customized software solutions on .NET, Java and mobile platform. Strong functional knowledge on B2B with the healthcare domain. Software licenses for all end-to-end IT needs of an hospital. Flexible models of engagement including total ownership of IT, time and material based engagements and onsite and offshore models. Six Sigma Black-belt and green-belt certified consultants for process setup. Project management IT tools for accurate and timely tracking. Best practice sharing from previous implementations and learning’s. *Integration with Sonography ,CT, MRI, Cathlab are specific to each deployment. Stand alone Data Acquisition Module. 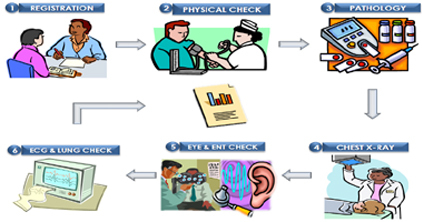 Ability to collect vital signs from Patients. Displays and transmits data to central console. Has in built battery backup and wi-fi connectivity. 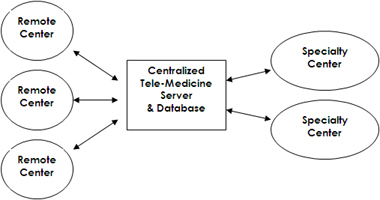 Integrated computer provides easy patient database transfer. Trolley Mounted and easily transported to any locations. High Definition Display and camera.